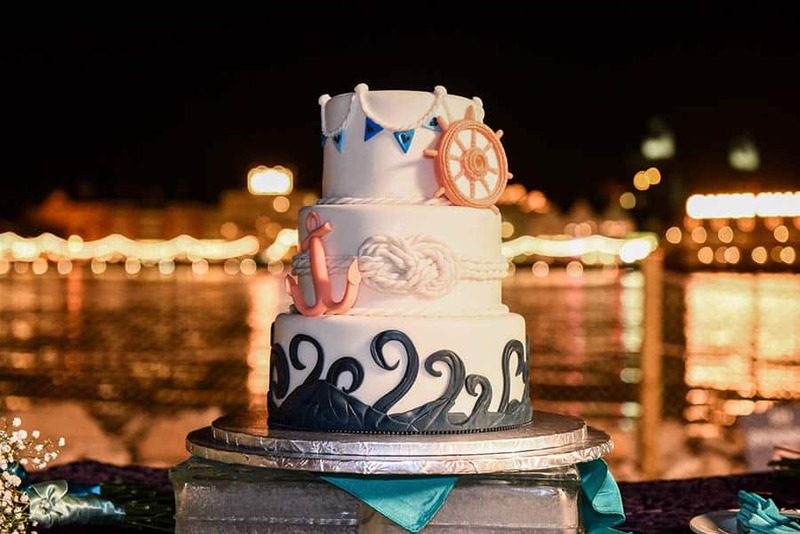 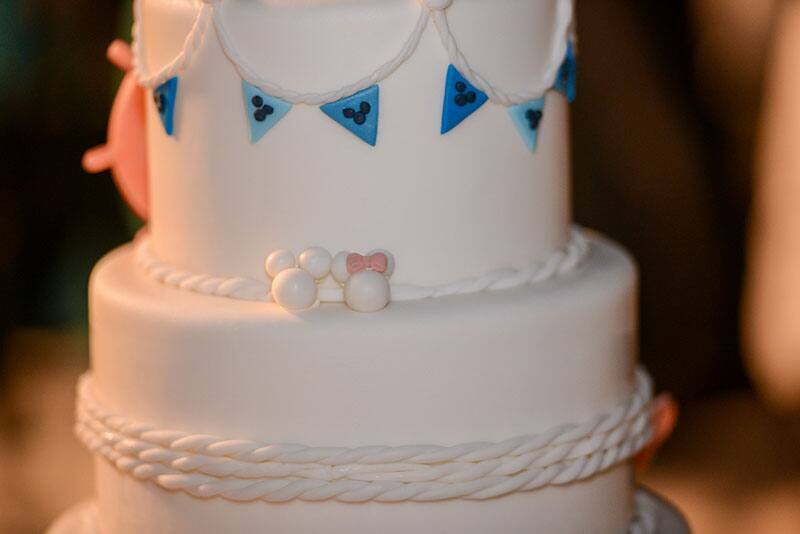 This nautical wedding cake was the perfect choice for this Walt Disney World reception on Shipwreck Beach. 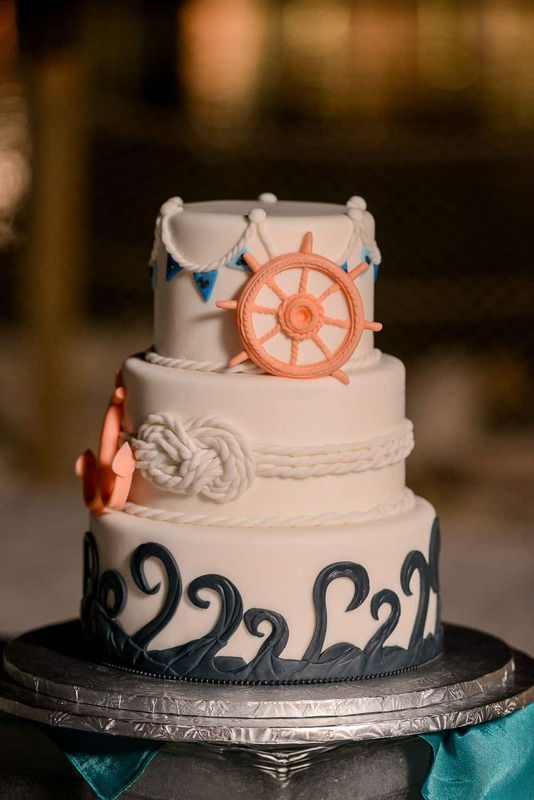 It's tough to pick a favorite part - the tentacle-like waves along the bottom, the intricate rope details, the ship anchor, or the subtle Hidden Mickeys in the flags! 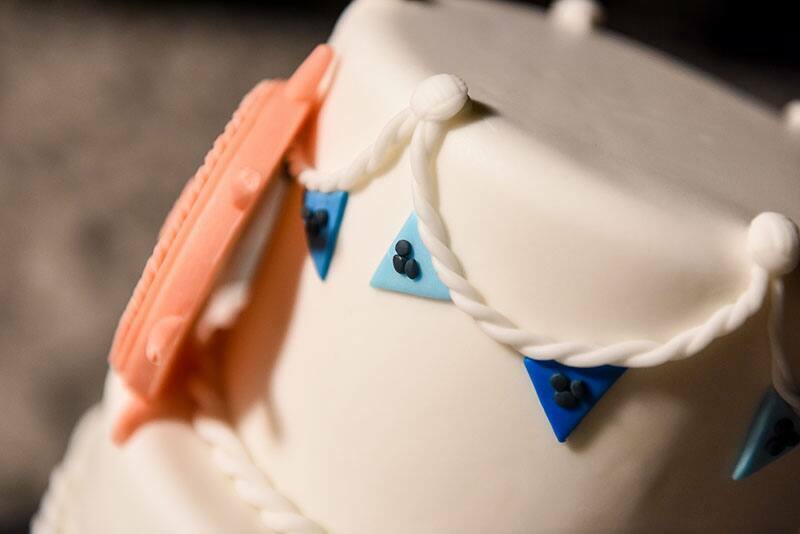 Each detail adds a little something extra and ties into the seaside theme of this wedding.